PM Modi will kick start BJP's campaign with rallies in the border district of North 24 Parganas and the industrial town of Durgapur. 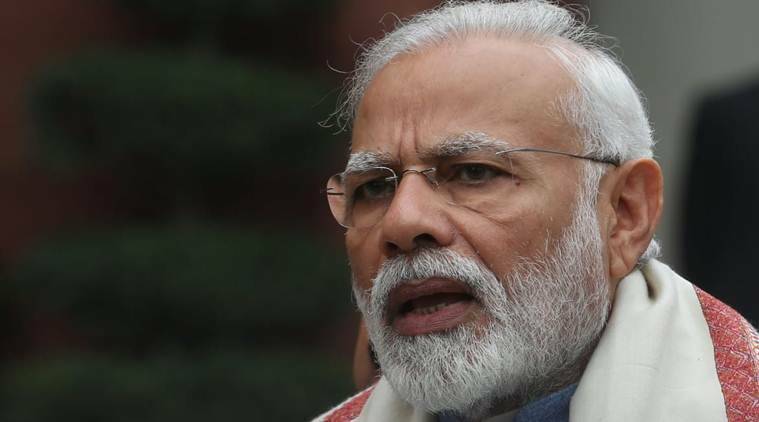 Prime Minister Narendra Modi will kick start BJP’s campaign in West Bengal on Saturday for the coming Lok Sabha election with rallies in the border district of North 24 Parganas and the industrial town of Durgapur, party sources said. The venues of both the rallies have political significance. Thakurnagar, which is one of the venues, is the hub of the sizeable Matua community, who originally hails from erstwhile East Pakistan and began migrating to West Bengal at the beginning of the 1950s mostly due to religious persecution. The rally venue is near the house of Matua matriarch Binapani Debi. Matuas with an estimated population of 30 lakh in West Bengal has influence in at least five Lok Sabha seats in North and South 24 Parganas districts. The BJP state unit is hopeful that Modi will speak on the Citizenship (Amendment) Bill at Thakurnagar in the circumstances, party sources said adding that the BJP-aligned faction of All India Matua Mahasangha is organising the rally. The Durgapur rally of the prime minister will be part of BJP’s ‘Ganatantra Bachao’ (save democracy) programme in the state. The industrial hub of Durgapur is near the Asansol Lok Sabha constituency held by union minister Babul Supriyo. “Just as our party president Amit Shah had started the poll campaign in Bengal from Malda in a public rally on January 23, Modiji will kick start the campaign in Nadia and Burdwan West districts and boost our Bengal campaign,” BJP national secretary Rahul Sinha told PTI. The rallies are being held at a time when the ruling Trinamool Congress in West Bengal has upped the ante against the BJP-headed government at the Centre and has given the call to oust the Modi government in the next General Election. The TMC had on January 19 organised a mega opposition rally which was attended by leaders of 24 parties from across the country, including the Congress. The TMC had alleged that the CBI was being “misused” by the Centre to harass opposition parties. Modi is scheduled to address his third rally on February 8 at Siliguri in north Bengal, one of the areas where BJP had witnessed a surge in its vote share in the last panchayat polls. West Bengal BJP president Dilip Ghosh said apart from Modi, Union Home Minister Rajnath Singh, Uttar Pradesh Chief Minister Yogi Adityanath and many other top leaders will attend several ‘Ganatantra Bachao’ rallies across the state.